Budding scientists will love this set from Nancy B. 's Science Club! 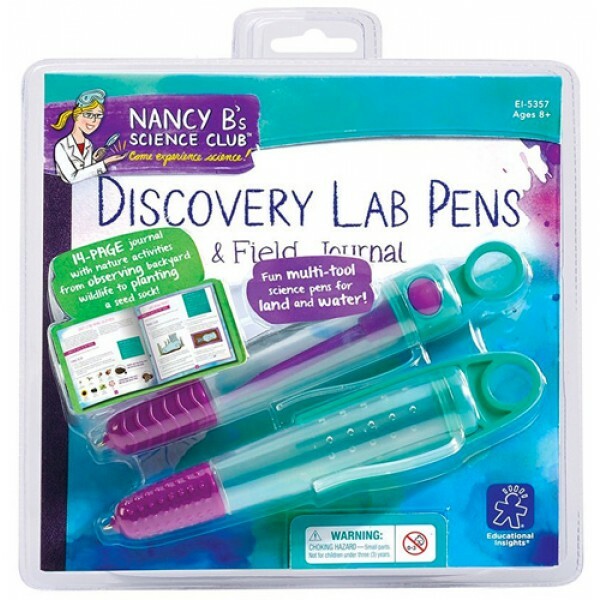 These multi-tool pens are perfect for recording your discoveries during explorations. 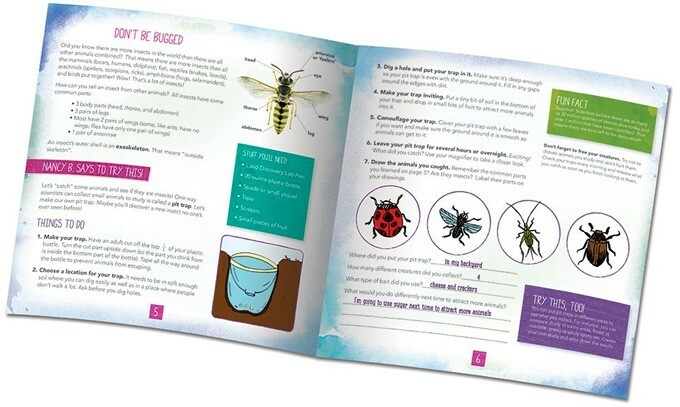 The journal includes 14 pages of scientific activities, including making a pit trap to collect and study insects, planting a seed sock, inflating a balloon with yeast, investigating life in water, drawing, creating a backyard wildlife habitat, and more! 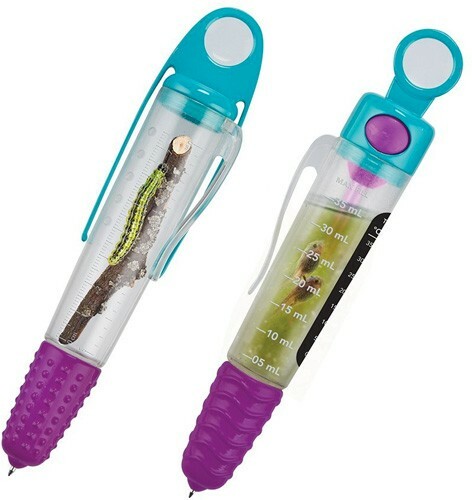 To complement the journal, you'll get two lab pens that are much more than writing tools — the land pen features a collection vial, built-in tweezers, and a ruler for specimen observation, while the water pen features a liquid specimen vial with volume markings, built-in dropper, and thermometer. For more toys and kits for budding scientists, visit our Science / Math Toy Collection.